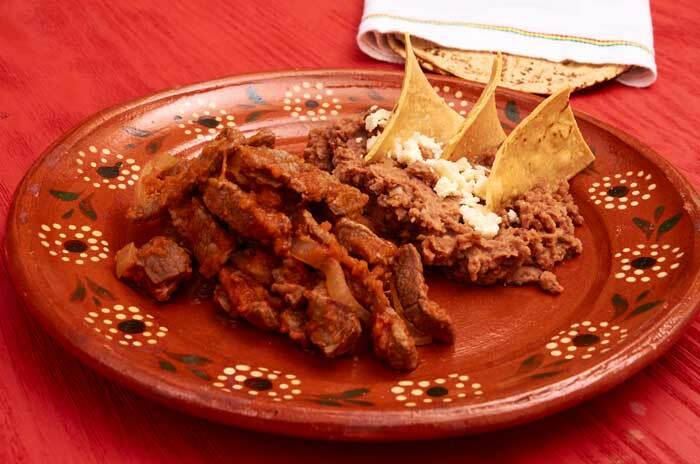 This dish is called bistec a la Mexicana which is a beef dish prepared with a spicy tomato and chile sauce. 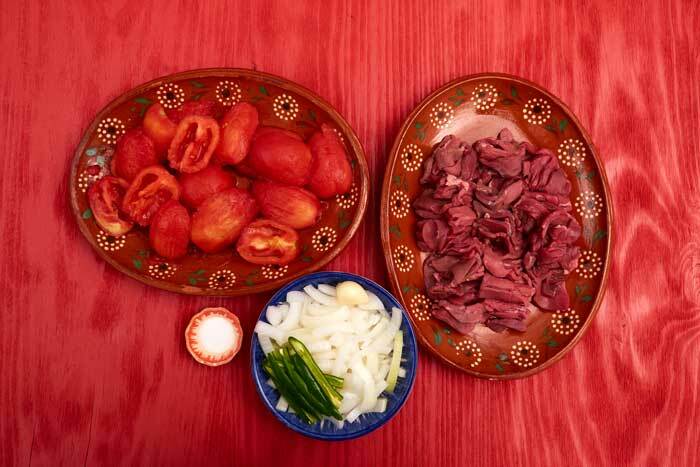 A la Mexicana means Mexican style and any dish that has a la Mexicana in the name, like this one, will always be prepared with tomatoes, onions and serrano chile. 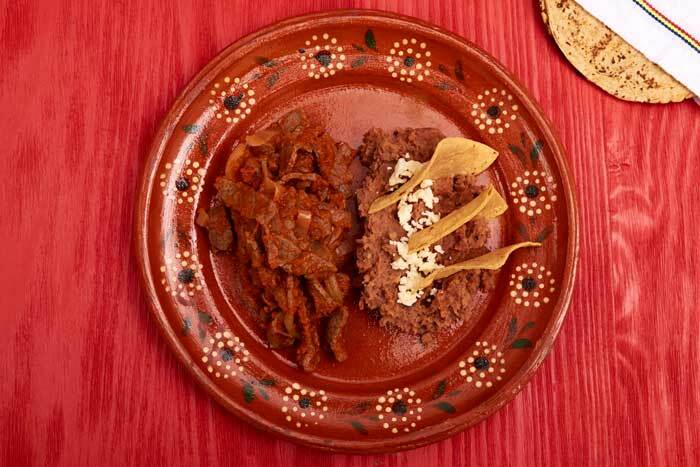 You will find variations of this dish served throughout Mexico. Bistec ( BEE-stake) means thinly cut beef filets. Did you know that bistec is the phonetic pronunciation of beefsteak? 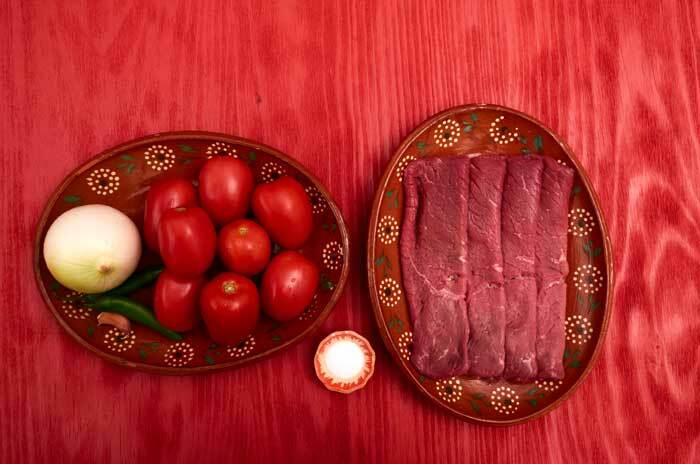 Ingredients you need to make bistec a la Mexicana. 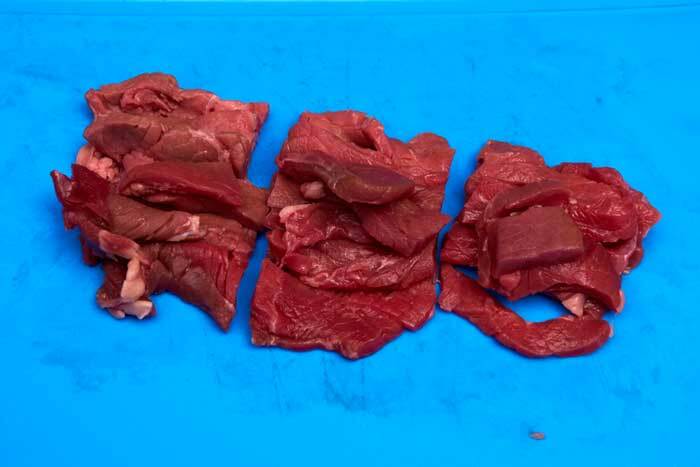 Here’s what the ingredients look like when they have been prepped and are ready to cook. 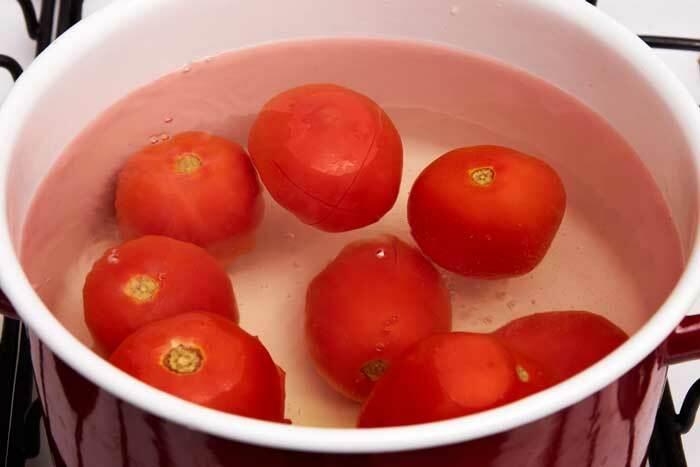 Put the tomatoes in boiling water. 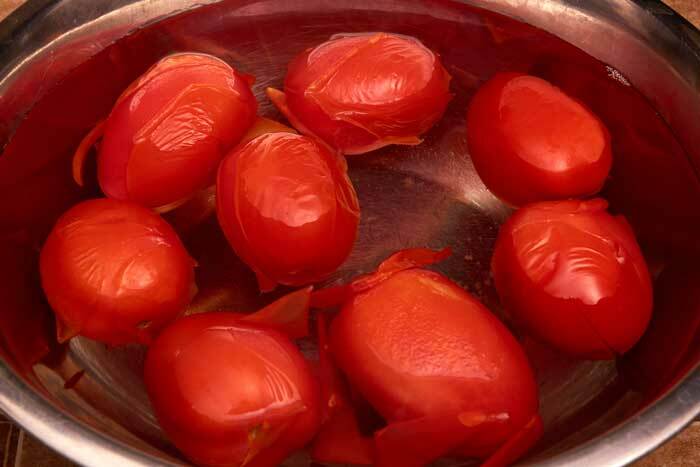 Boil the tomatoes until the skin starts to separate. 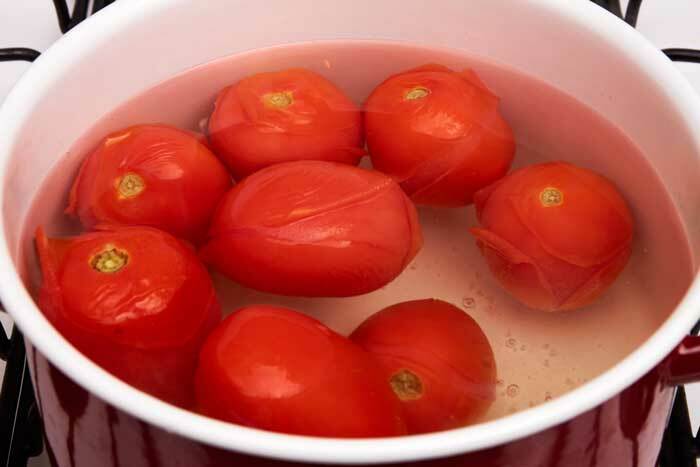 Plunge the tomatoes in ice cold water. 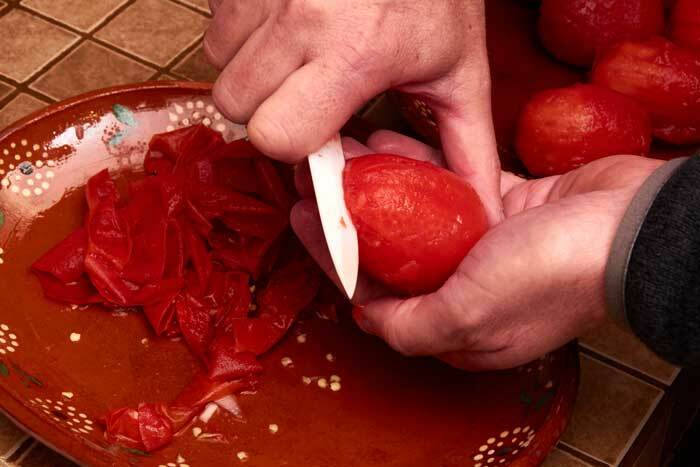 Once the tomatoes are peeled and seeded you are ready to make the sauce. 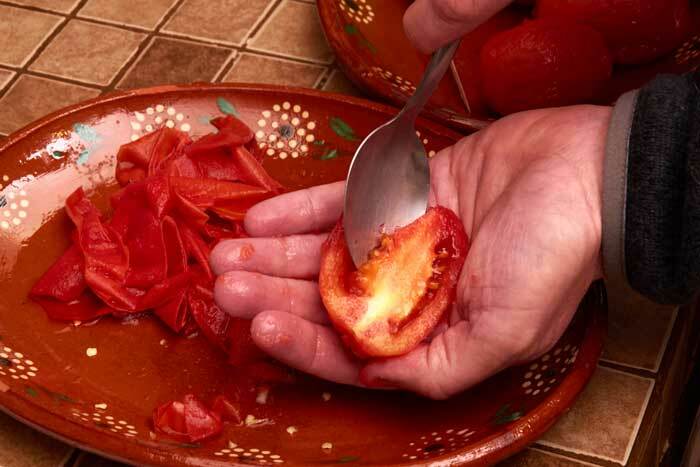 Add the tomatoes, seeded serrano chiles, clove of garlic and 1 cup of water and blend for about a minute until the mixture is smooth. 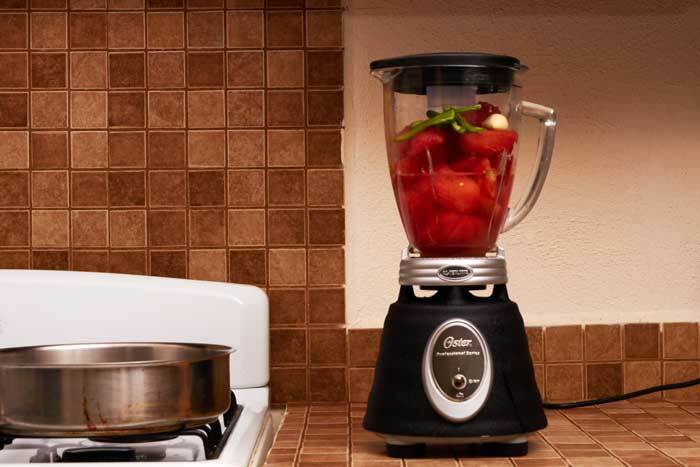 Add the ingredients for the sauce to the blender. 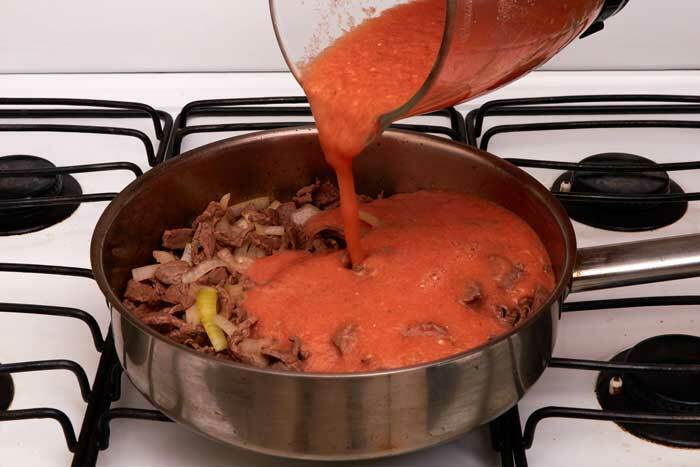 Notice the color of the sauce before cooking. It will darken beautifully as it cooks. 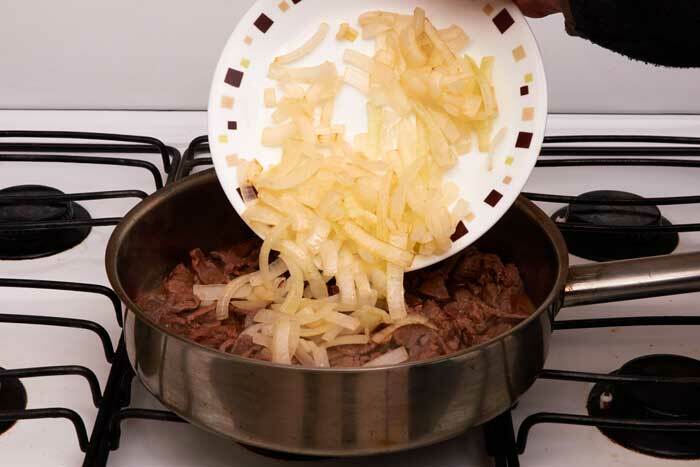 Cut the beef and the onions into 1/2″ by 2″ strips. Cut the beef into 1/2″ by 2″ strips. 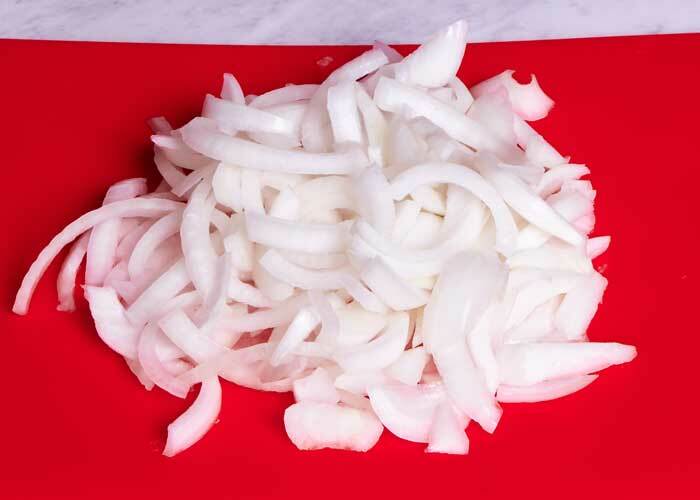 Chop the onions into 1/2″ by 2″ strips. 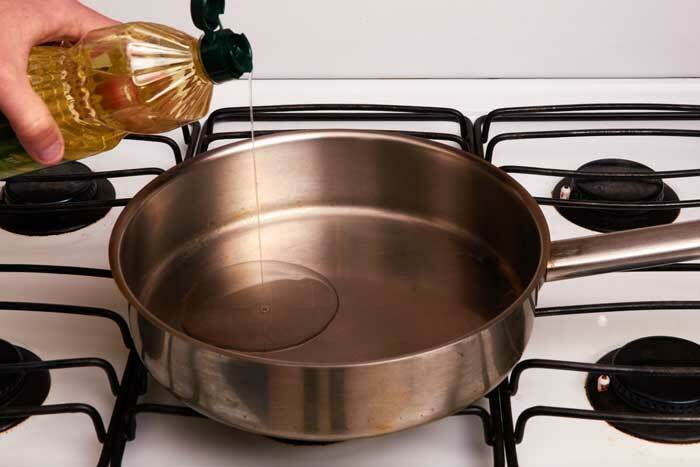 Add oil to the preheated pan. 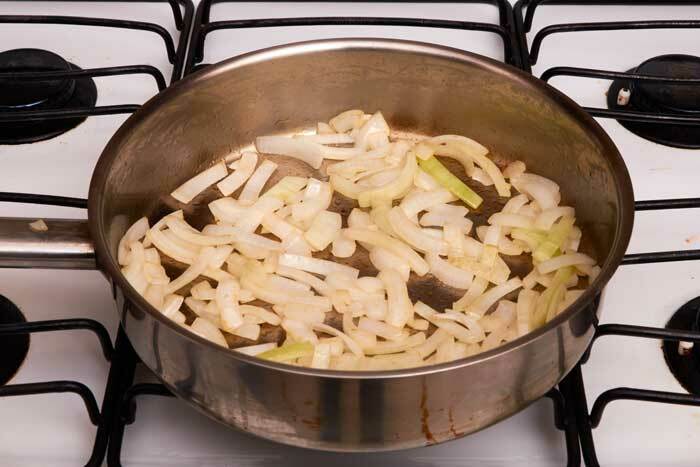 Add the chopped onions to the pan. 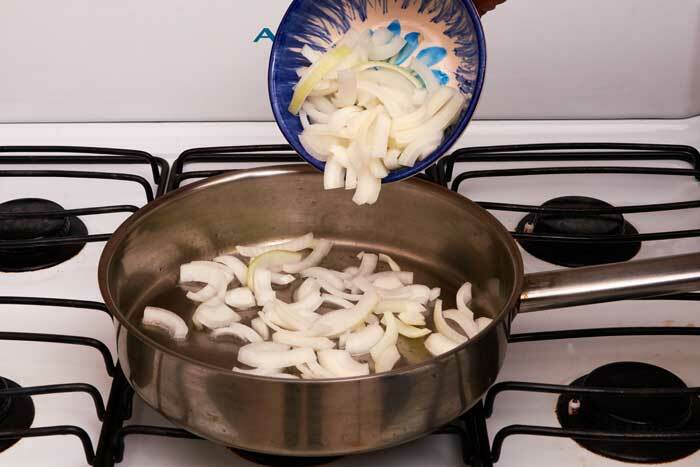 Cook until the onions just start to brown. 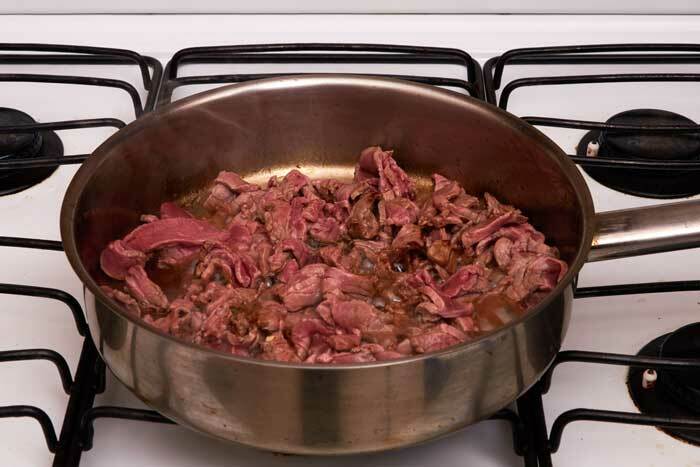 The beef will start to release its juice. 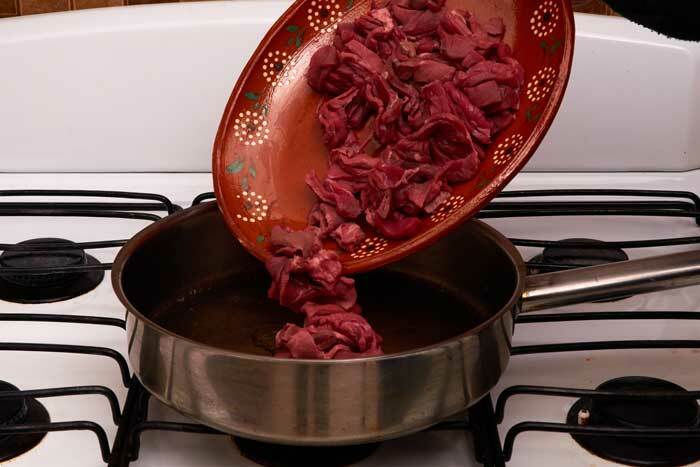 Cook until most the of the juice has evaporated. 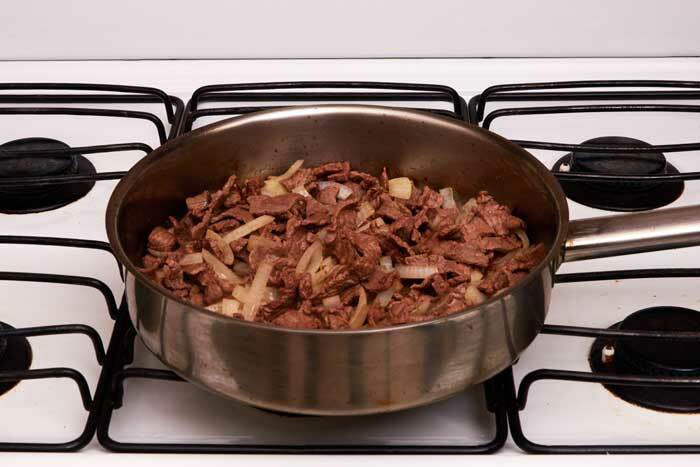 Add the cooked onions to the beef. 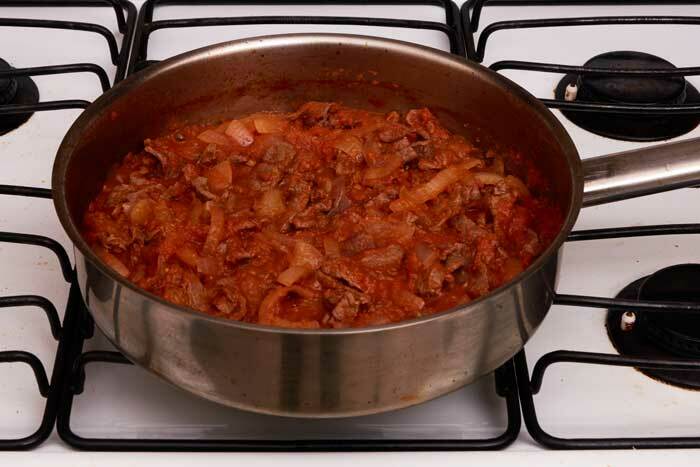 Stir the onions into the beef. Simmer to reduce the sauce. 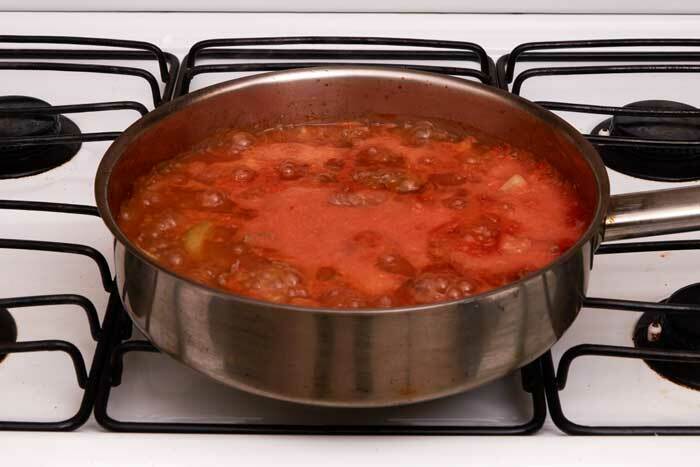 Cook until the sauce has reduced and thickened. 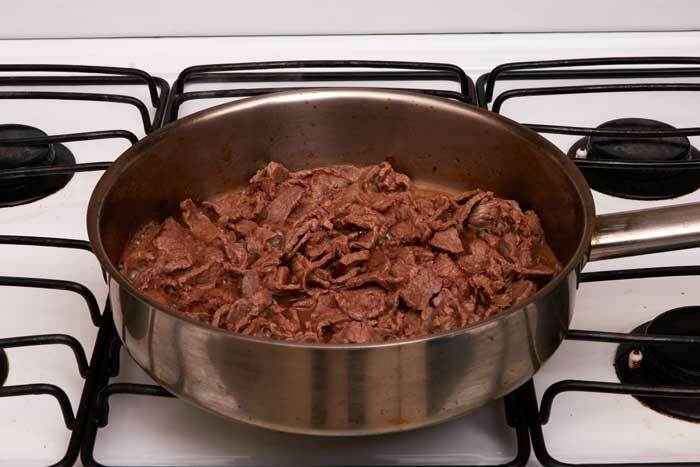 Serve your bistec a la Mexicana with a big stack of warm corn tortillas and refried beans on the side. Garnish the beans with a sprinkle of queso fresco or queso cotija and 3 tortilla chips. Recipe for "bistec a la Mexicana," a Mexican beef dish prepared with a spicy tomato and chile sauce. 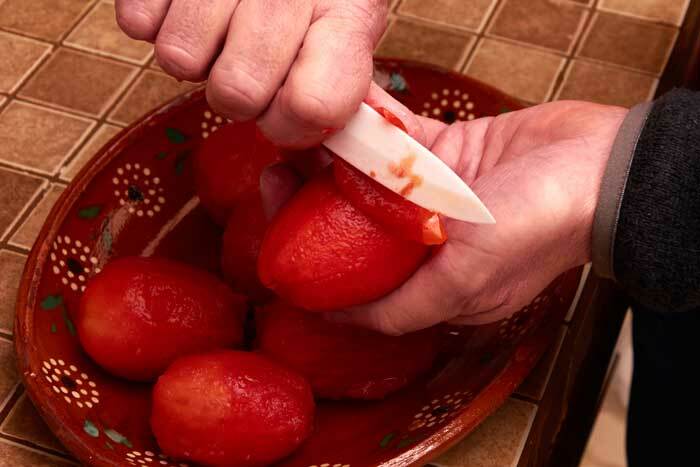 Variations of this dish are served throughout Mexico. You can substitute jalapeño chiles for the serrano chiles. Jalapeños are milder. You can also omit 1 of the serrano chiles if you prefer a less spicy dish. The recipe calls for corn tortillas but you can serve it with flour tortillas too.SERVINGServe with a big stack of warm corn tortillas and refried beans. It will keep for 3 days in the refrigerator. 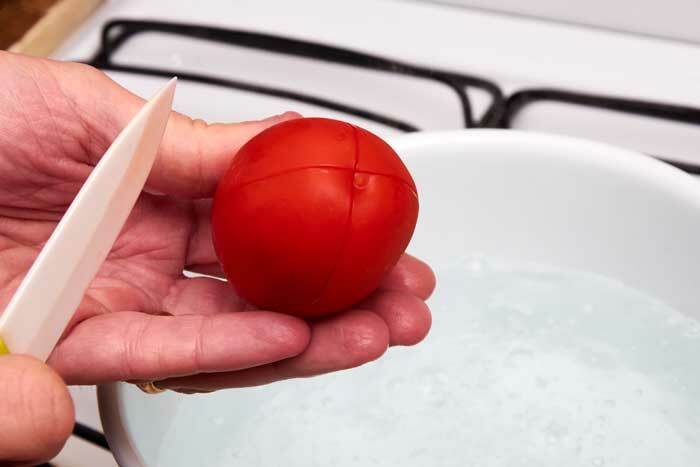 This dish freezes well. 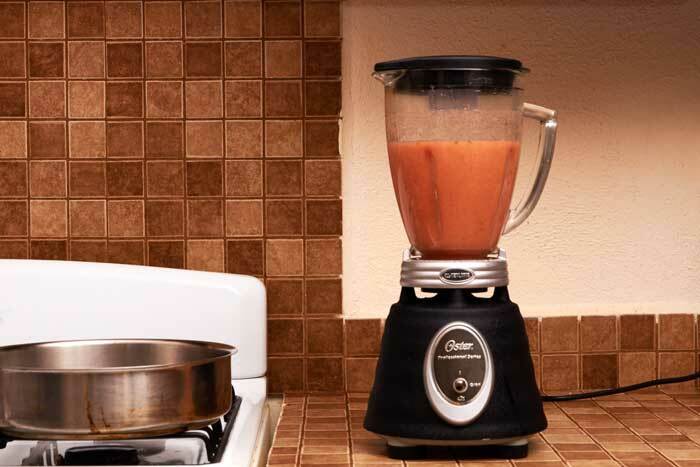 Make a double batch and freeze half so that you can enjoy it at a later date with no extra prep time. This dish was delicious! Thank you, Doug. Happy New 2016! Glad you liked it. Happy new year to you too! Could you substitute CHICKEN for the BEEF?? Make Red Chicken?